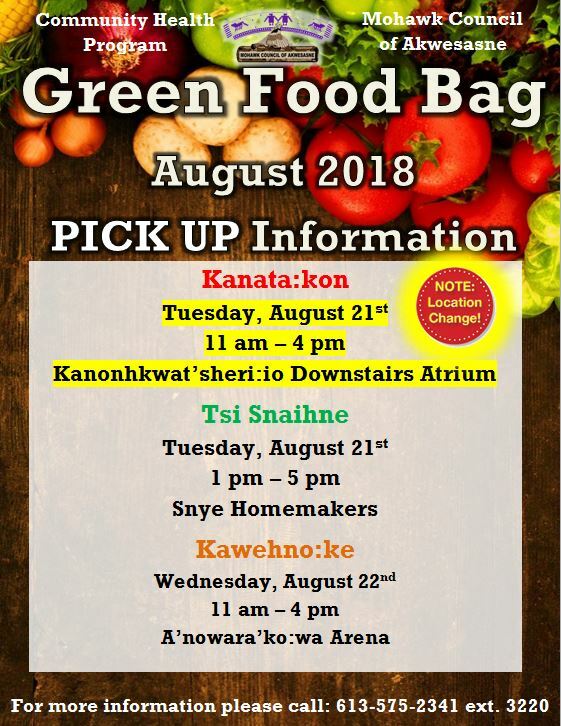 The Mohawk Council of Akwesasne’s Community Health Program has released the pick-up information for this month’s Green Food Bag. Please note the location change for Kana:takon. 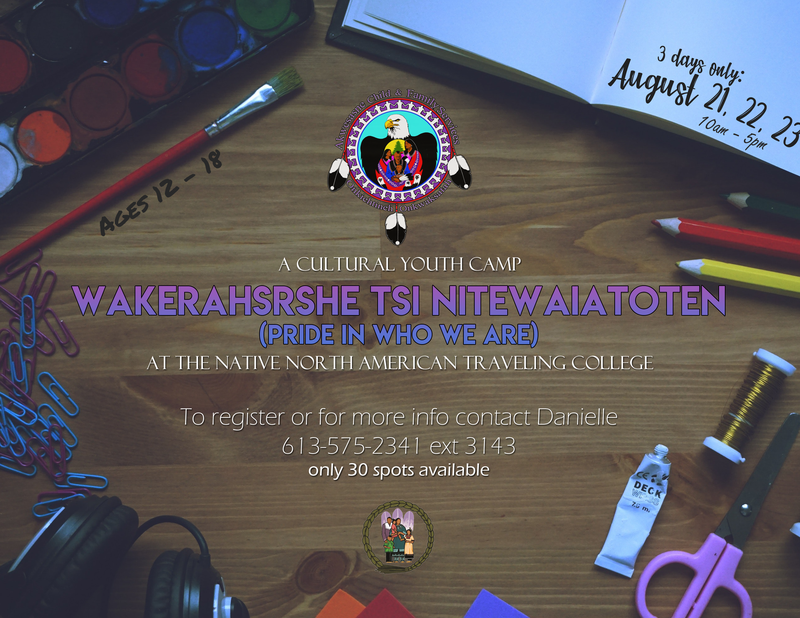 The Mohawk Council of Akwesasne’s Akwesasne Child & Family Services Program and Akwesasne Family Wellness Program will be sponsoring a 3-day youth cultural camp for kids ages 12-18! DTS Up in Smoke BBQ Wagon will be cooking up at the A’nowara’ko:wa Arena during the Founders Cup Tournament. 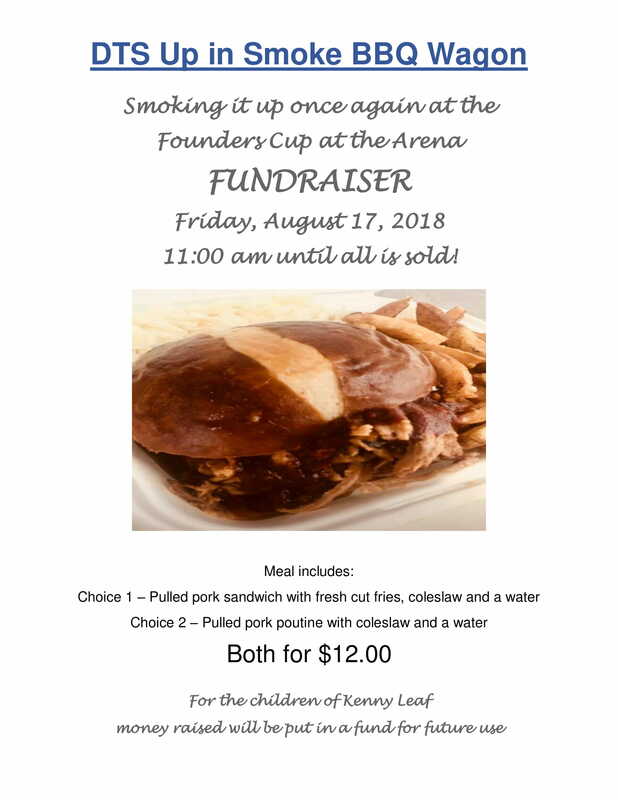 All proceeds will benefit the family of Kenny Leaf. 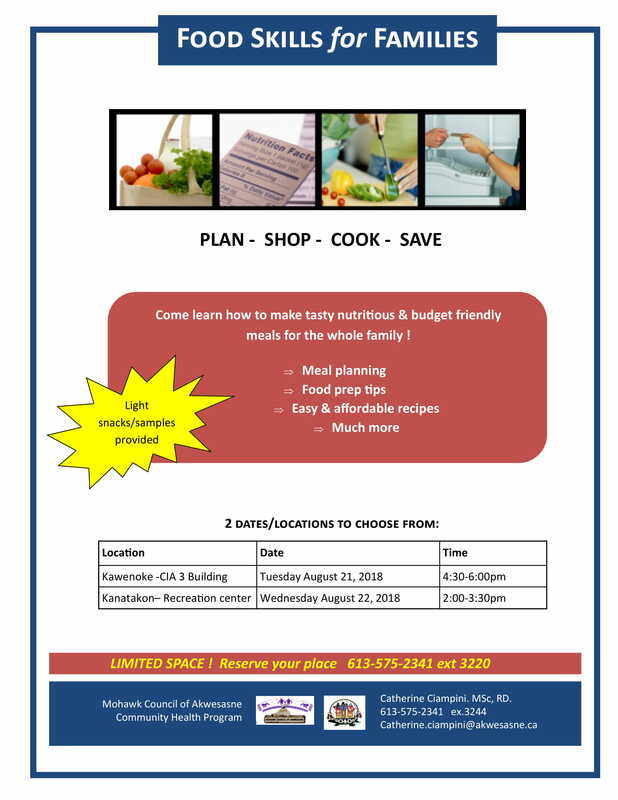 Join the MCA Community Health Program and learn how to make tasty, nutritious and budget-friendly meals for the whole family! There is limited space, so register soon! To register or for more information, please call 613-575-2341 ext. 3220. The Tsi Snaihne Recreation Center will be holding a pizza sale on Friday, August 10! Any pre-orders must be made by Thursday morning (August 9) — deliveries will be available at 12 PM noon. 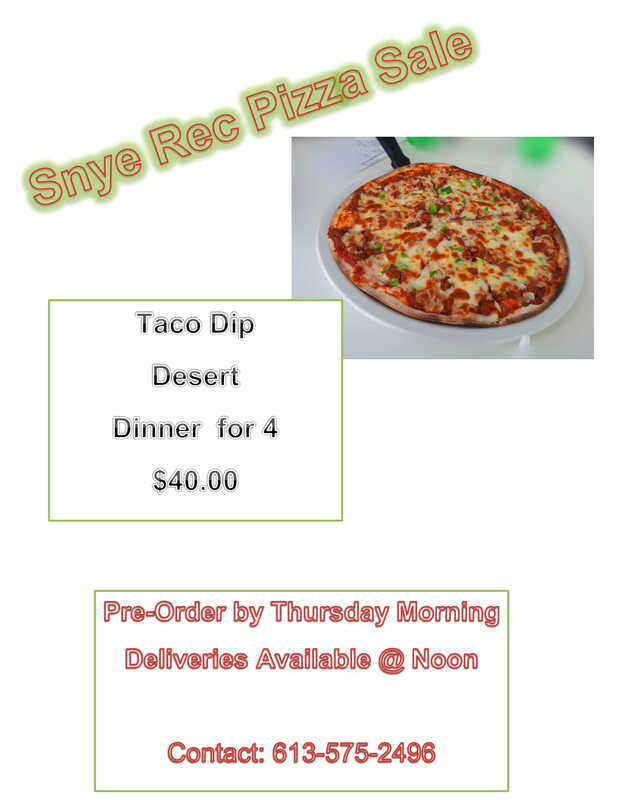 To pre-order or for more information, please contact the Snye Recreation at 613-575-2496. 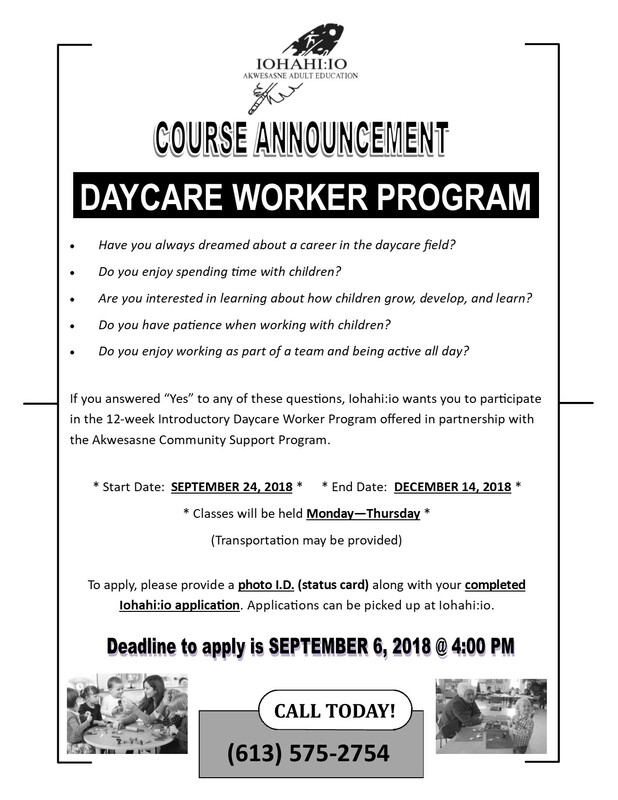 Iohahi:io is offering a 12-week Introductory Daycare Worker Program (in partnership with the Akwesasne Community Support Program)! 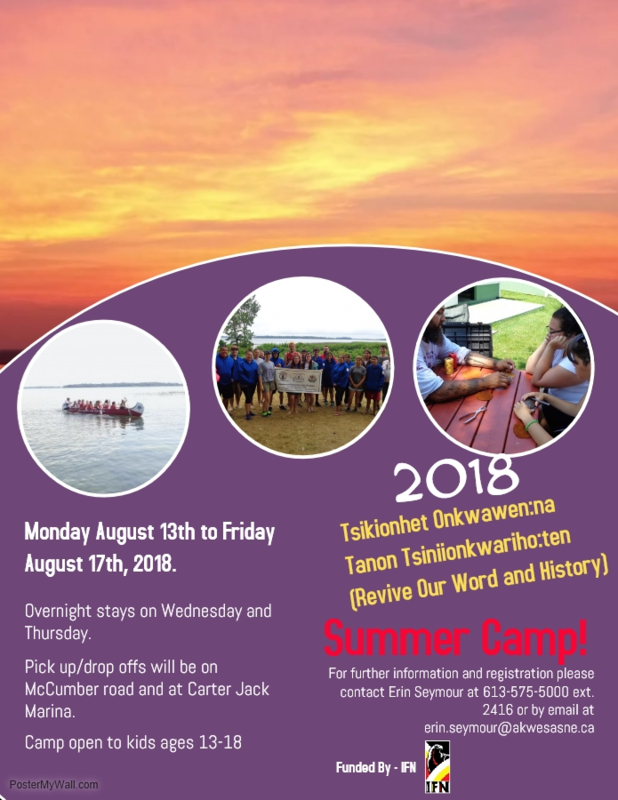 The Akwesasne Community Justice Program, in partnership with IFN, is excited to host the Tsikionhet Onkwawen:na tanon Tsiniionkwariho:ten (Revive Our Work and History) Cultural Camp! 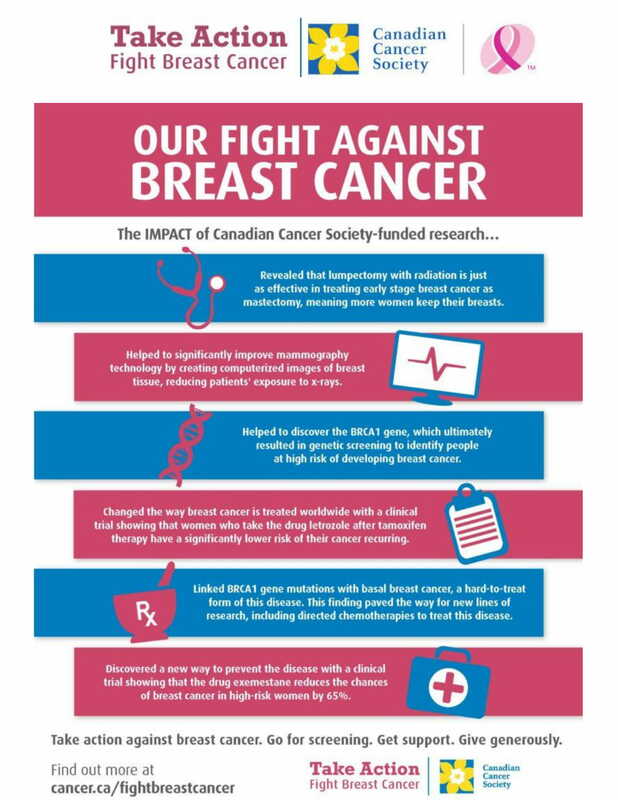 THE DEADLINE HAS BEEN EXTENDED TO FRIDAY, AUGUST 3 – REGISTER SOON! The summer camp is open to teens ages 13-18! 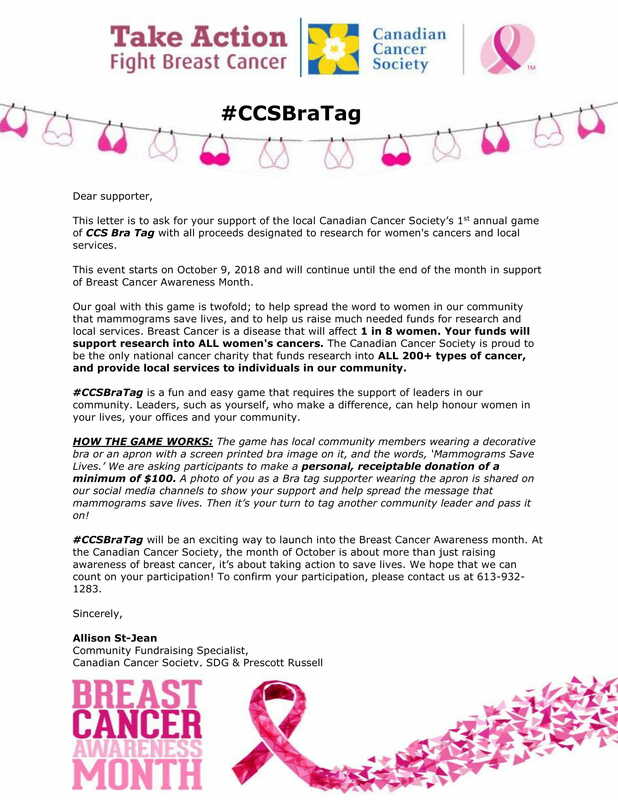 For further information, contact Erin Seymour at 613-575-5000 ext. 2416 or by email at erin.seymour@akwesasne.ca. Earn an Ontario Secondary School Diploma, prepare for a post-secondary program and more! 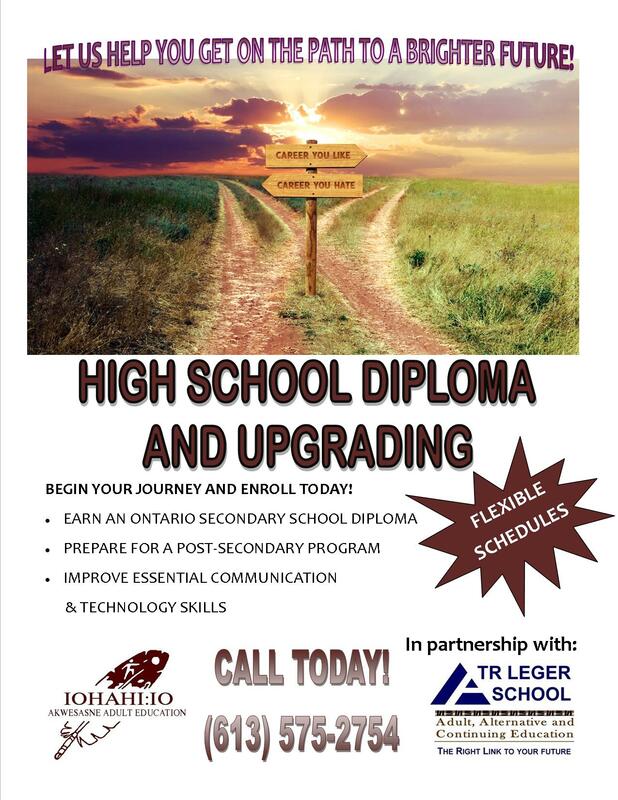 Begin your journey and enroll today — for more information, please contact Iohahi:io at 613-575-2754. 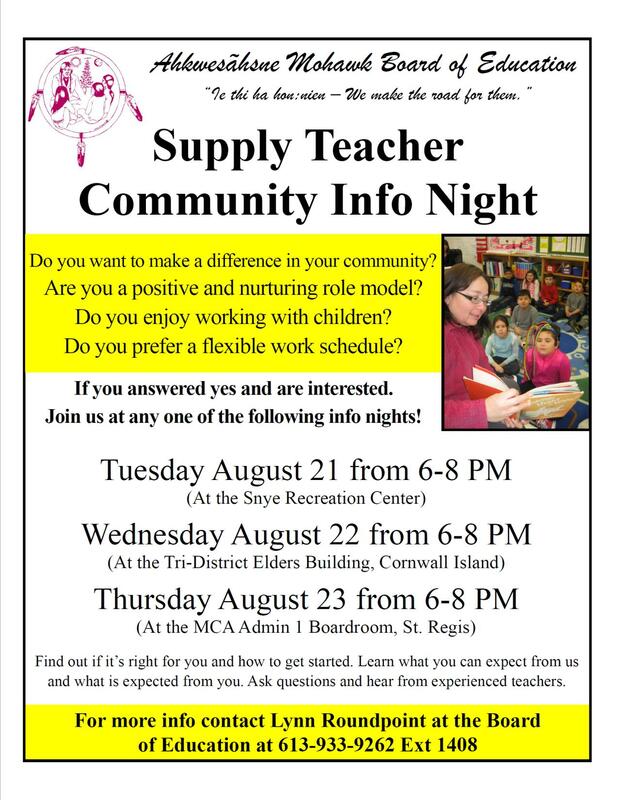 Come find out if being a supply teacher for the Ahkwesahsne Mohawk Board of Education is right for you!